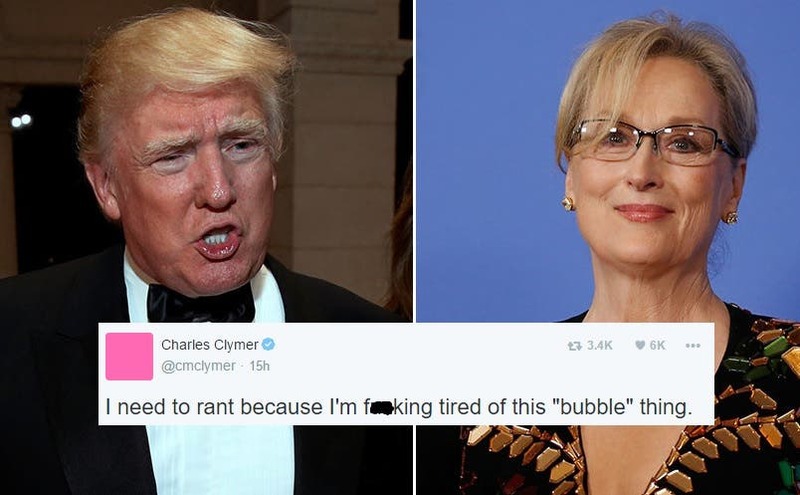 Conservatives are in an uproar over Meryl Streep’s rightful criticism of Donald Trump. “These privileged Hollywood liberal elites don’t know the REAL AMERICA!” they complain, wringing their hands. “They don’t know what it’s like to be one of the hard-working middle class! These coastal elites are so out of touch!” Somehow, this makes Streep unqualified to call out Trump for his cruel mocking of a disabled journalist, which doesn’t make any sense, but logic and reason are not the strong points of the far-right. It is truly insulting to see Republicans fetishizing the middle America working class and pretending that their experience is somehow a more genuine “American” and more honorable experience than anyone else’s, especially when that experience is defined by hardship – hardship that the Republican Party itself is largely responsible for. For them to hold up Trump as somehow a “regular guy just like me and you!” is the absolute height of hypocrisy, especially when he made his fortune by cheating regular Americans out of their labor and their money. It’s far past time we stopped pretending that there is a “real America” and started holding people accountable for their actions and their beliefs.